What better way to get started than to take an introductory clinic with a level 1+ registered MA3 instructor to see if this sport is for you! We provide all the equipment needed, but you are more than welcome to bring your own. No compound bows are allowed, though. So leave those beasts at home. 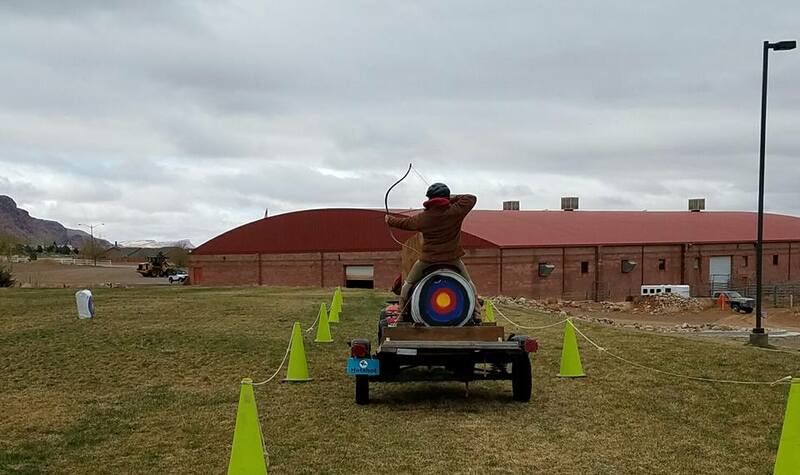 In a basic 4-5 hour intro clinic, we start with archery safety, equipment, and basic shooting skills while stationary. 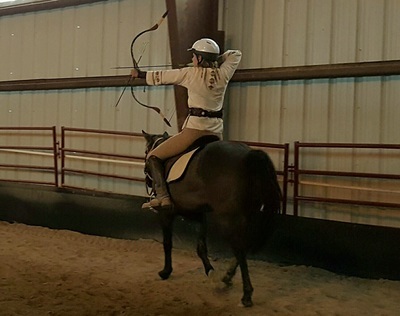 You will learn to shoot while holding several arrows in your bow hand, the Korean shooting method, and shooting while skipping on the ground to simulate a mounted motion. We will also practice the rear-shot which is any shot that exceeds 90 degrees between your bow and the horse (some targets in mounted archery are to be shot once you and your horse have traveled well past the target). So this is a great things to practice while you're at the range or at home. ​If you bring your own horse, we spend time getting your horse acclimated to what it will be like for them to not only carry you, but your new, noisy, potentially frightening equipment. This desensitization process starts while you are on the ground. Next, we will cover carrying the equipment while you are mounted and throwing down equipment on the ground to practice for any type of emergency situation. 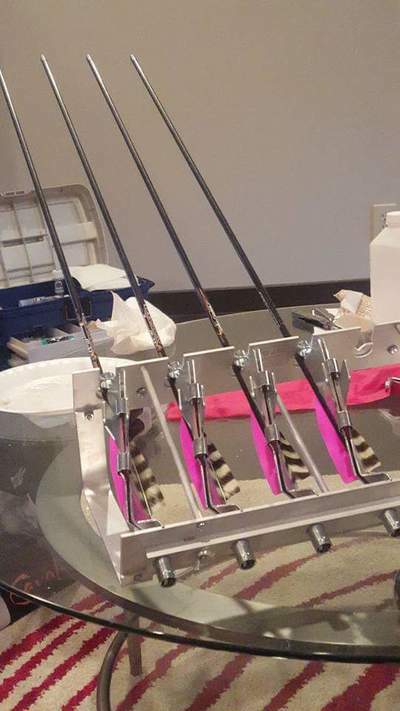 You will start with using smaller weighted Jr. bows while mounted as they are easier to handle and learn with. ​Safety comes first!! You can't rush the process as your horse is learning. If your horse is taking his/her sweet time to acclimate, you may also use one of our horses to learn on. From these intro clinics, you can take away tips to practice at home or come practice with us as an MA3 member! Part of these fees go toward both MA3 and AMA Registrations (for insurance purposes) and are included in the totals up there. This is just an FYI. ** For insurance purposes, all participants must be an MA3 member to participate! 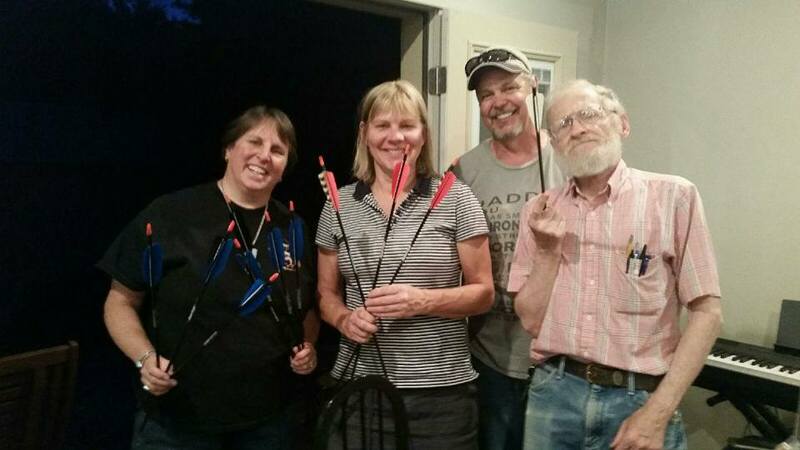 Tanyon, Beverly, Stacey, Alex, and Sophie with their ground targets. In these clinics, you'll Learn How To. . . Learn shooting and safety techniques from the ground, and how to shoot while in motion. Even if you have never shot before, you will be taught and have time to practice while on the ground. We take this one step at a time and soon most are shooting quite well within an hour! 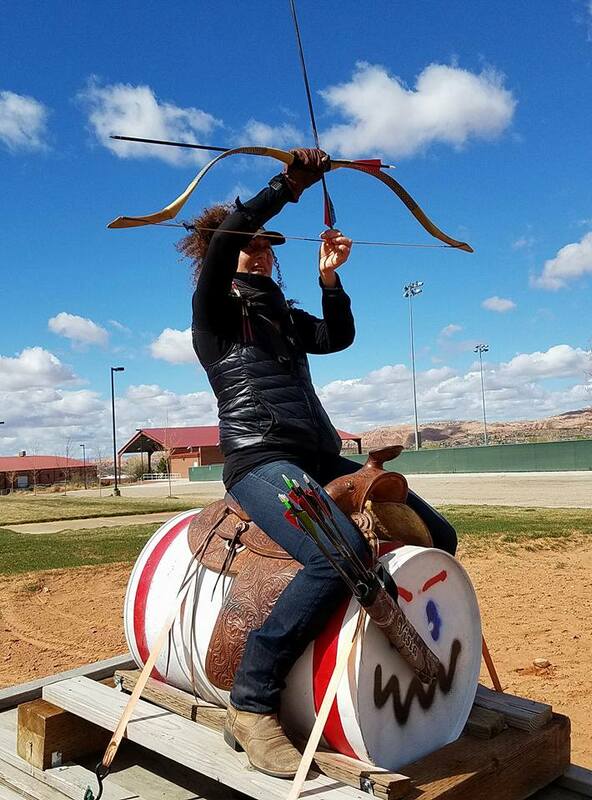 You will even learn how to shoot while walking and skipping and when facing backwards to simulate back shots while on the horse. 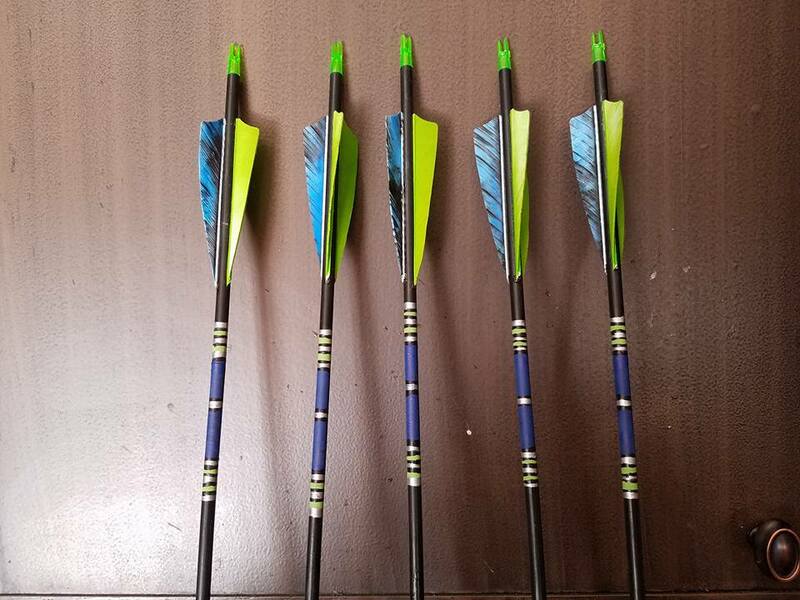 We will teach you various nocking styles (how to get your arrow onto the string). There are several draw styles (how you pull the bow string back) and we will give you a sound basis before you ever shoot from the horses. This part CANNOT be rushed! 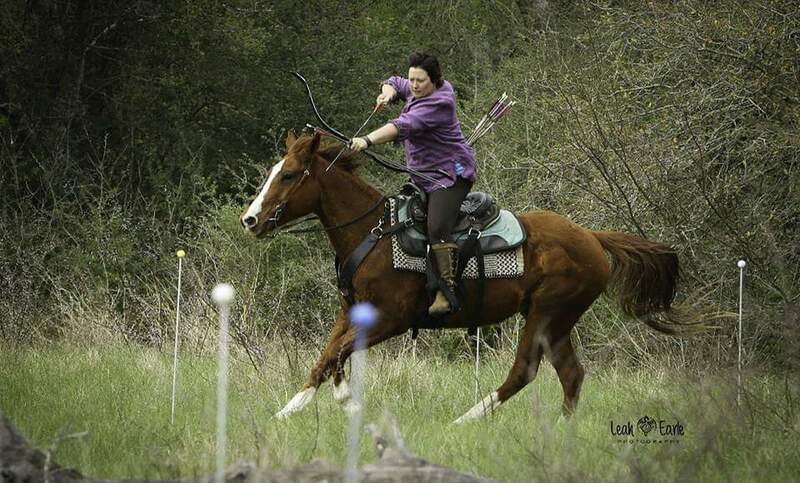 It is vital to develop a trusting bond with your horse and we do not wish the horse to be fearful of archery. Some horses take to it easily while others need many practice sessions to be steadfast but safety remains key. Sometimes this takes several months for reactive and sensitive horse. 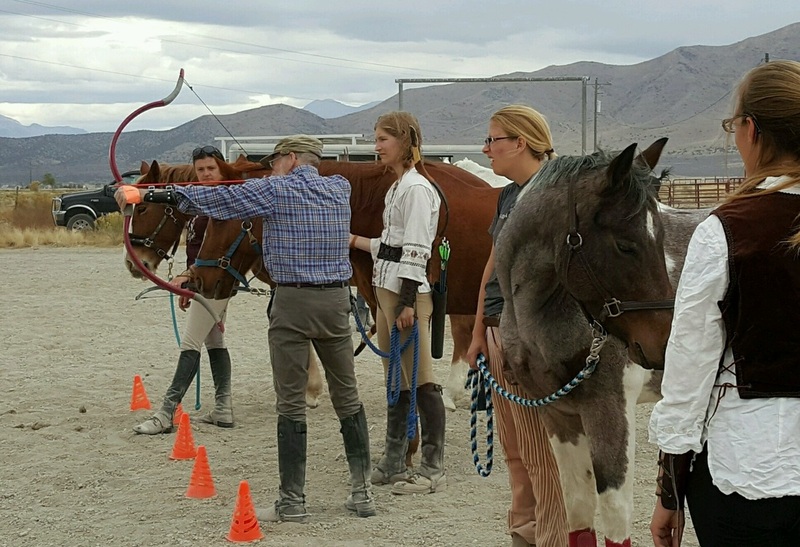 We introduce the horse to all the equipment, sights, sounds and movements of the archer well before we ever shoot from their backs. 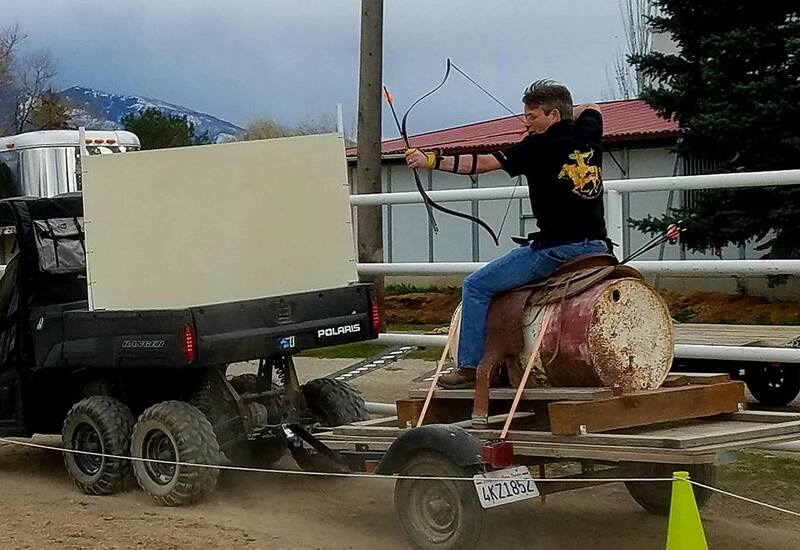 We begin the final stage with someone holding your horse as you shoot at a standstill. Next, we'll then move onto the walk. Once the horse is trusting and calm and the archer is ready, they walk on their own. Finally... the trot. Cantering comes later, once we know you and your horse are safe and capable. The horse must also be taught lyst or course work. This is the defined lane of travel the horse moves in that is outlined by safety ropes. We teach the horse how to maintain tempo when the reins are dropped, learn voice commands, and how to stop safely so you can shoot in a safe manner. Club members get the opportunity to rank several times a year. 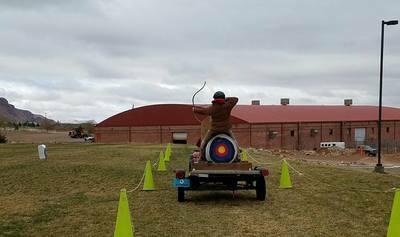 Grading is a great way to see what level members are shooting at compared to other MA3 and IHAA mounted archers across the country and world. 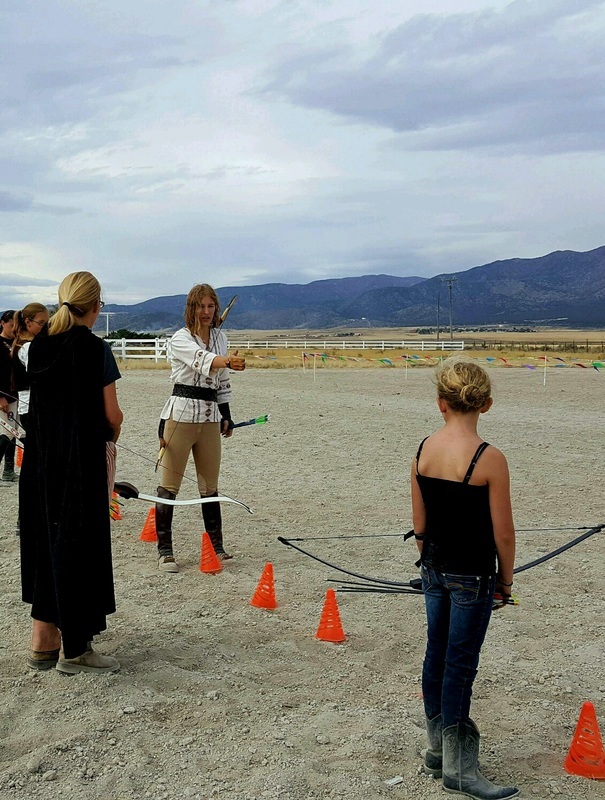 Pins are awarded for Beginner (Walk and Trot) - Levels 1 through 6, Student - Levels 1 through 6, and Horse Archer- Levels 1 through 8. 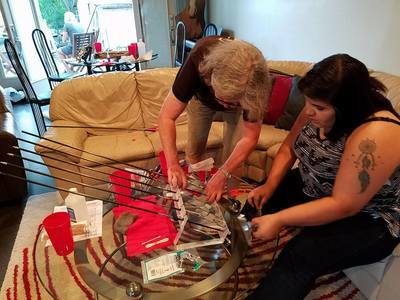 Postal Matches give competitors the opportunity to show their skills without having to travel to other states for competitions. 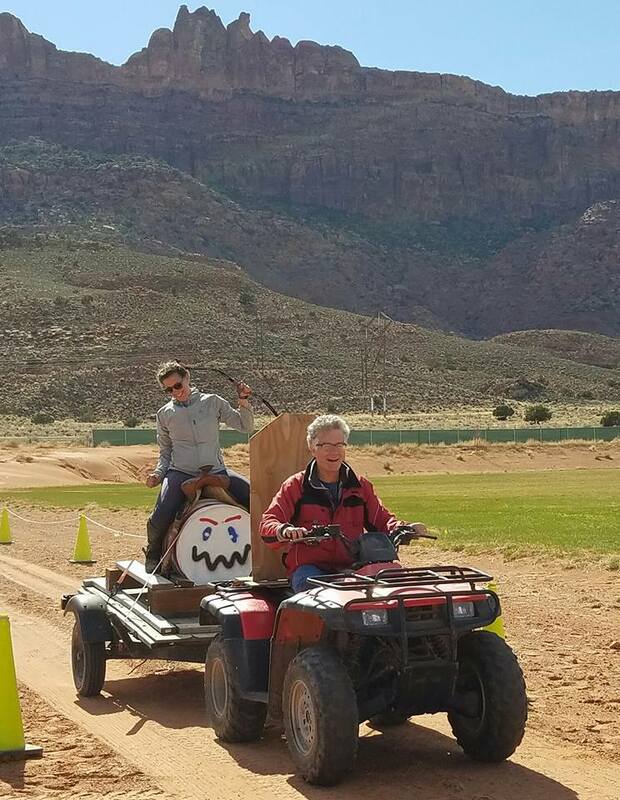 We setup the same courses with the same specifications and run the course as if it were a real competition! ​** For insurance purposes, all participants must be an MA3 member to participate! We hold 1-2 practices a week if it's good weather. We'll have a full lyst with all targets necessary for the Korean 1-2-3, the HUN, and various animal 3D targets to keep things interesting! 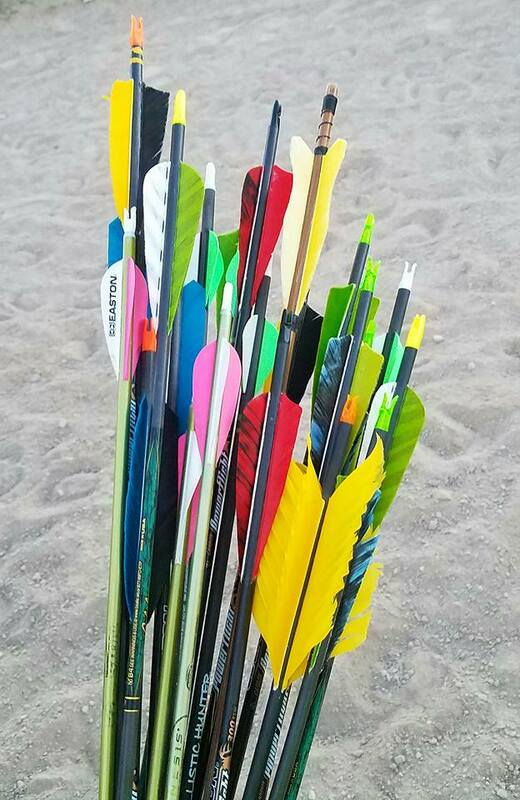 We use a combination of ground and mounted practices, allowing archers to focus on improving form as well as shooting from various mounted positions and The Hotshot. 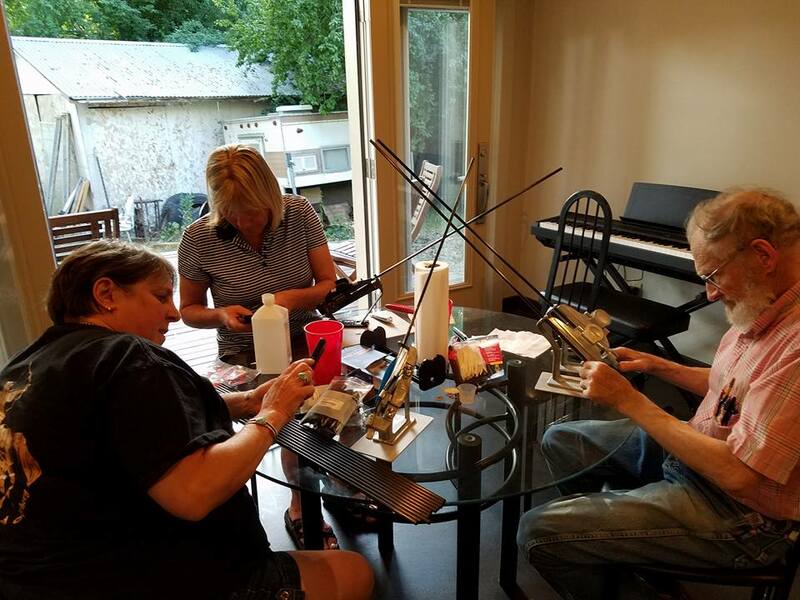 Our amazing Archery coach, Jim Franson, uses his years of knowledge and expertise to help fine tune our archery equipment. 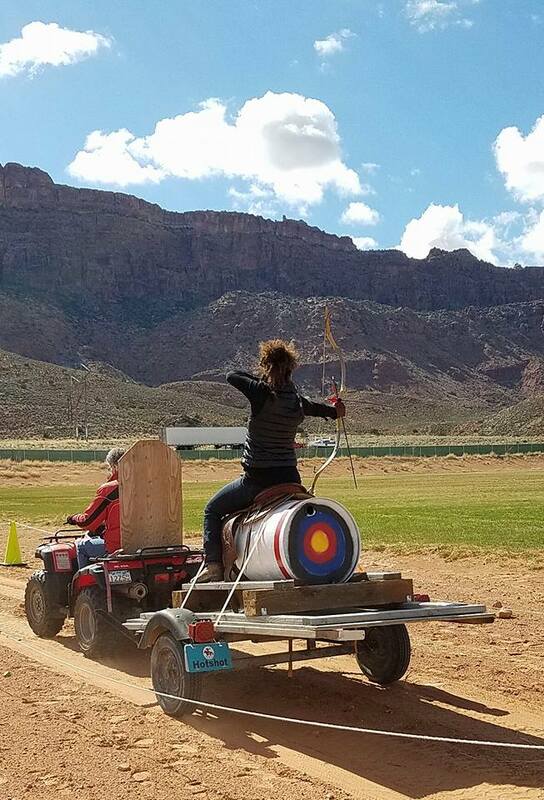 He also helps us discover our most comfortable mounted archery form and techniques. Several times a year we offer our members the chance to learn how to make their own arrows! 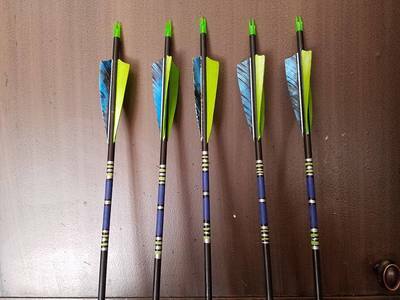 There is no better feeling than to shoot the arrows you fletched yourself with the color of feathers that stand out to you! Of course, the honorable Jim Franson, will assist you in ordering, materials, and assembly for your arrows. Every Spring and fall we gather at Wind Walker Ranch in Spring City UT to have a 3 day weekend shoot. 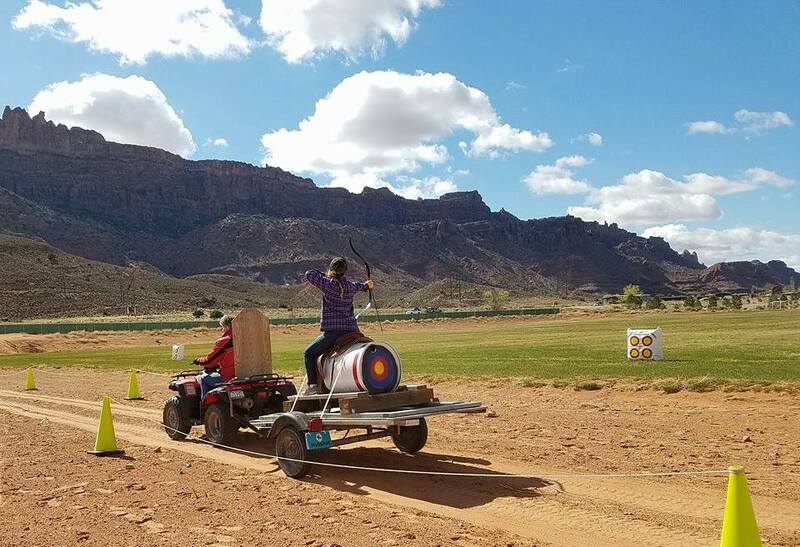 We set up a Polish style quarter mile cross county course through the countryside, hold ranking sessions, postal matches, have clinics and have arrow fletching classes and bonfires and more!